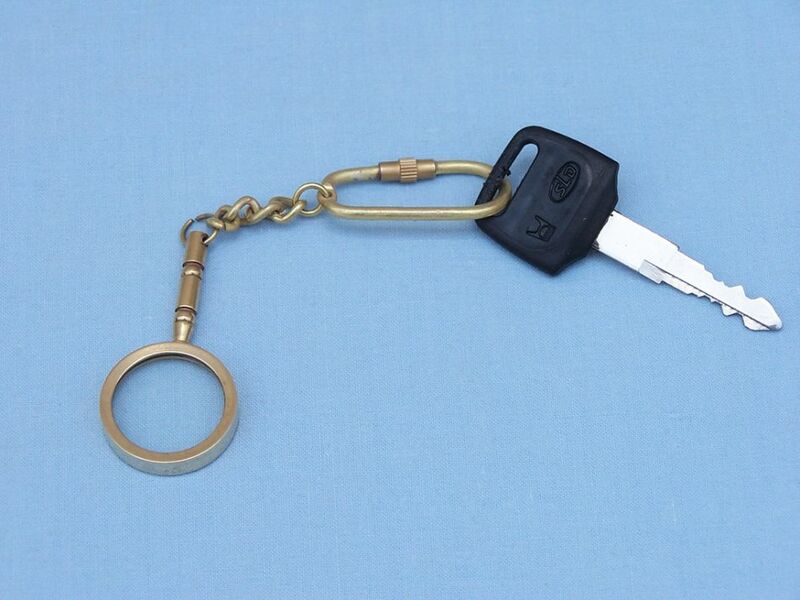 This nautical-themed key chain is both adorable and functional, featuring a monocle/magnifying glass key fob. Crafted from solid brass, this key chain is as beautiful as it is durable and functional with a knurled knob that allows you to easily and securely add or remove keys from the ring. These wonderful key chains make ideal gifts for all. 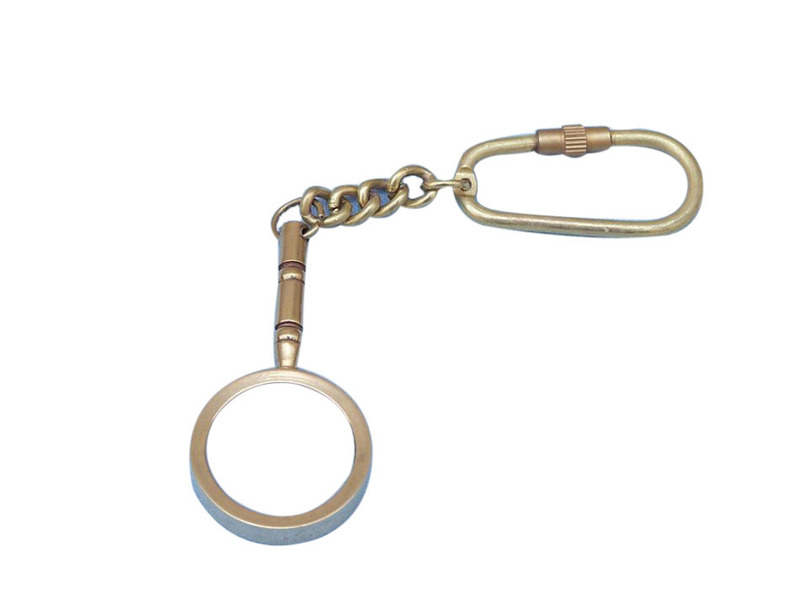 Perfect for the nautical enthusiast in your life, the handle magnifier brass keyring will keep your keys in order while providing a valuable accessory to hand crafted model ships. Use your new brass keyring to view the intimate details of each and every model ship you come across. With its convenient size you can take it anywhere, including nautical museums and art galleries, where these brass keyrings will truly come in handy. Hang your keys from these brass rings and ensure that they are always in order. When you venture out onto the open ocean, should you ever become stranded on a deserted isle, you can take out your lifesaving brass keyring, create a fire, and while the flames call for help sit back in the warm glow under twinkling tropical stars.